Muslims annex Egypt, Cyrenaica, Tripolitania and Fezzan. At the commencement of the Muslim conquest of Egypt, Egypt was part of the Byzantine/Eastern Roman Empire, which had its capital at Constantinople. Egypt had been conquered just a decade before by the Persian Empire under Khosrau II (616–629 AD); however, Emperor Heraclius re-captured it after a series of campaigns against the Sassanid Persians, only to lose it to the Muslim Rashidun army ten years later. Before the Muslim conquest of Egypt had begun, the Byzantines had already lost the Levant and its Arab ally, the Ghassanid Kingdom, to the Muslims. All of this left the Byzantine Empire dangerously exposed and vulnerable. In December 639, 'Amr ibn al-'As left for Egypt with a force of 4,000 troops. Most of the soldiers belonged to the Arab tribe of 'Ak, although Al-Kindi mentions that one-third of the soldiers belonged to the Arab tribe of Ghafik. The Arab soldiers were also joined by some Roman and Persian converts to Islam. However, 'Umar, the Muslim caliph, reconsidered his orders to Amr, thinking it foolhardy to expect to conquer such a large country as Egypt with a mere 4,000 soldiers. Accordingly, he wrote a letter to 'Amr commanding him to come back. The messenger, 'Uqbah ibn 'Amr, caught up with Amr at Rafah, a little short of the Egyptian frontier. Guessing what might be in the letter, 'Amr ordered the army to quicken its pace. Turning to 'Uqbah, 'Amr said that he would receive the caliph's letter from him when the army had halted after the day's journey. 'Uqbah, being unaware of the contents of the letter, agreed and marched along with the army. The army halted for the night at Shajratein, a little valley near the city of El Arish, which 'Amr knew to be beyond the Egyptian border. 'Amr then received and read 'Umar's letter and went on to consult his companions as to the course of action to be adopted. The unanimous view was that as they had received the letter on Egyptian soil, they had permission to proceed. When 'Umar received the reply, he decided to watch further developments and started concentrating fresh forces at Madinah that could be dispatched to Egypt as reinforcements. On Eid al-Adha, the Muslim army marched from Shajratein to El Arish, a small town lacking a garrison. The town put up no resistance, and the citizens offered allegiance on the usual terms. The Muslim soldiers celebrated the Eid festival there. In the later part of December 639 or in early January 640, the Muslim army reached Pelusium, an Eastern Roman garrison city that was considered Egypt's eastern gate at the time. The Muslim siege of the town dragged on for two months. In February 640, an assault group led by a prominent field commander Huzaifah ibn Wala successfully assaulted and captured the fort and city. Armanousa, the daughter of Cyrus who fiercely resisted the Muslims in Pelusium and fell hostage in their hands, was sent to her father in the Babylon Fortress. The losses incurred by the Arab Muslim army were ameliorated by the number of Sinai Bedouins who, taking the initiative, had joined them in conquering Egypt. These Bedouins belonged to the tribes of Rashidah and Lakhm The ease with which Pelusium fell to the Muslim Arabs, and the lack of Byzantine reinforcements to aid the city during the month-long siege, is often attributed to the treachery of the Egyptian governor, Cyrus, who was also the Melchite (i.e., Byzantine–Chalcedonian Diaphysite) Patriarch of Alexandria. After the fall of Pelusium, the Muslims marched to Bilbeis, 40 miles from Memphis via desert roads and besieged it. Belbeis was the first place in Egypt where the Byzantines showed some measure of resistance towards the Arab conquerors. Two Christian monks accompanied by Cyrus of Alexandria and the famous Roman general Aretion came out to negotiate with 'Amr ibn al-'As. Aretion was previously the Byzantine governor of Jerusalem, and had fled to Egypt when the city fell to the Muslims. 'Amr gave them three options: to either convert to Islam, to pay Jizya, or to fight the Muslims. They requested three days to reflect, then—as mentioned by al-Tabari—requested two extra days. At the end of the five days, the two monks and the general decided to reject Islam and Jizya and fight the Muslims. They thus disobeyed their ruler, Cyrus of Alexandria, who wanted to surrender and pay Jizya. Cyrus subsequently left for the Babylon Fortress, while the two monks and Aretion decided to fight the Arabs. The fight resulted in the victory of the latter and the death of Aretion. 'Amr ibn al-'As subsequently attempted to convince the native Egyptians to aid the Arabs and surrender the city, based on the kinship between Egyptians and Arabs via Hagar. When the Egyptians refused, the siege of Bilbeis was continued until the city fell after a month. Towards the end of March 640, the city surrendered to the Muslims. With the fall of Belbeis, the Arabs were only one day away from the head of the Delta. Map detailing the route of the Muslims' invasion of Egypt. Amr had visualized that the conquest of Egypt would be a walkover. This expectation turned out to be wrong. Even at the outposts of Pelusium and Bilbeis, the Muslims had met stiff resistance. The siege of Pelusium had lasted for two months and that of Bilbeis for one month. Both battles were preludes to the siege of Babylon, which was a larger and more important city. Here, resistance on a larger scale was expected. After the fall of Bilbeis, the Muslims advanced to Babylon, near modern Cairo. The Muslims arrived at Babylon some time in May 640 AD. Babylon was a fortified city, and the Romans had prepared it for a siege. Outside the city, a ditch had been dug, and a large force was positioned in the area between the ditch and the city walls. The Muslims besieged the fort of Babylon some time in May 640. The fort was a massive structure 60 ft. high with walls more than 6 ft. thick and studded with numerous towers and bastions. A Muslim force of some 4,000 men unsuccessfully attacked the Roman positions. Early Muslim sources place the strength of the Byzantine force in Babylon about six times the strength of the Muslim force. For the next two months, fighting remained inconclusive, with the Byzantines having the upper hand by repulsing every Muslim assault. Some time in May 640 AD, 'Amr sent a detachment to raid the city of Fayoum. The Byzantines had anticipated this and had therefore strongly guarded the roads leading to the city. They had also fortified their garrison in the nearby town of Lahun. When the Muslim Arabs realized that Fayoum was too strong for them to invade, they headed towards the Western Desert, where they looted all the cattle and animals they could. They subsequently headed to Oxyrhynchus (Per-Medjed), which was defeated. The Arabs then returned to Lower Egypt down the River Nile. In July, 'Amr wrote to 'Umar requesting reinforcement; but before the letter reached him, the caliph had already dispatched the first reinforcement, which was 4,000 strong. The army was composed mostly of the veterans of the Syrian campaigns. Even with these reinforcements, 'Amr was unsuccessful. By August 640, 'Umar had assembled another 4,000 strong force, which consisted of four columns, each of 1,000 elite men. Zubair ibn al-Awam, a renowned warrior and commander, veteran of the Battle of Yarmouk and once a part of Khalid ibn Walid's elite mobile guard, was appointed the supreme commander of army—'Umar had indeed offered Zubair the chief command and governorship of Egypt, but Zubair had declined. The column commanders included Miqdad ibn al-Aswad, Ubaidah ibn as-Samit, and Kharijah ibn Huzaifah. These reinforcements arrived at Babylon sometime in September 640. The total strength of the Muslim force now rose to 12,000, quite a modest strength to resume the offensive. Ten miles from Babylon was Heliopolis. The Muslim army reached Heliopolis in July 640. It was the city of the Sun Temple of the Pharaohs and was famous for its grandiose monuments and learning institutions. There was the danger that forces from Heliopolis could attack the Muslims from the flank while they were engaged with the Roman army at Babylon. With some detachments, 'Amr and Zubair marched to Heliopolis. There was a cavalry clash near the current neighbourhood of Abbaseya. The engagement was not decisive, although it resulted in the occupation of the fortress located between the current neighborhoods of Abdyn and Azbakeya. The defeated Byzantine soldiers retreated to either the Babylon Fortress or the fortress of Nikiû. At an unguarded point of the wall of Heliopolis, Zubair and some of his picked soldiers scaled the wall of the city, and after overpowering the guards, opened the gates for the main Muslim army to enter the city. 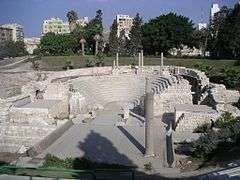 Heliopolis was thus captured by the Muslims. 'Amr and Zubair returned to Babylon. When news of the Muslims' victory at Heliopolis reached Fayoum, its Byzantine garrison under the command of Domentianus evacuated the city during the night and fled to Abuit. From Abuit, they fled down the Nile to Nikiu without informing the people of Fayoum and Abuit that they were abandoning their cities to the enemy. When news of this reached 'Amr, he ordered a body of his troops to cross the Nile and invade Fayoum and Abuit. The Muslim soldiers captured the entire province of Fayoum without any resistance from the Byzantines. The Byzantine garrison at Babylon had grown bolder than ever before and had begun to sally forth across the ditch, though with little success. There had been a stalemate between the Muslim and Byzantine forces at Babylon, until the Muslim commanders devised an ingenious strategy and inflicted heavy casualties on the Byzantine forces by encircling them from three sides during one of their sallies. The Byzantines were able to retreat back to the fort, but were left too weak for any further offensive action. This situation forced the Byzantines to negotiate with the Muslims. The Byzantine general Theodorus shifted his headquarters to the Isle of Rauda, whilst Cyrus of Alexandria, popularly known as Muqawqis in Muslim history, entered into negotiations with the Muslims, which failed to give any productive results. Emissaries were also exchanged between Theodorus and 'Amr, leading to 'Amr meeting Theodorus in person. After fruitless negotiations, the Muslims acted on 20 December, when, in a night assault, a company of hand picked warriors led by Zubair managed to scale the wall, kill the guards and open the gates for the Muslim army to enter. The city of Babylon was captured by the Muslims on 21 December 640, using tactics similar to those used by Khalid ibn Walid at Damascus. However Theodorus and his army managed to slip away to the island of Rauda during the night. This position was to the advantage of the Muslims, as the Copts were the natives of the land of Egypt and both the Byzantines and the Muslims were strangers. Though some Copts from personal considerations continued to support the Byzantines, the sympathies of the Copts were now, by and large, with the Muslims. The Copts were not supposed to fight against the Byzantines on behalf of the Muslims, but they undertook to help the Muslims in the promotion of war effort and in the provision of stores, build roads and bridges for them, and provide them moral support. The Byzantine commanders knew that the next target of the Muslims would be Alexandria. They accordingly prepared for the expected siege of the city. Their strategy was to keep the Muslims away from Alexandria by destroying their power through continued sallies and attacks from the fort. Even if this did not keep them away, it would weaken them morally and physically. It would be more of a war of patience than strength. In February 641, 'Amr set off for Alexandria from Babylon with his army. All along the road from Babylon to Alexandria, the Byzantines had left regiments to delay, and if possible, inflict losses on the advancing Muslims. On the third day of their march from Babylon the Muslims' advance guard encountered a Byzantine detachment at Tarnut on the west bank of the Nile. The Byzantines failed to inflict heavy losses, but they were able to delay the advance by one more day. The Muslim commanders decided to halt the main army at Tarnut and send the advance guard cavalry forward to clear the way from the possible Byzantine detachments. This was done so that the main army could reach Alexandria as soon as possible without being delayed by Byzantine regiments mid-way. Twenty miles from Tarnut, the Byzantine detachment that had withdrawn from Tarnut the day before, joined the detachment already present at Shareek to form a strong offensive force. They attacked and routed the Muslim advance guard. The next day, before the Byzantines could resume their offensive to annihilate the Muslim advance guard completely, the main Muslim army arrived, prompting the Byzantines to withdraw. At this point the Muslim commanders decided not to send forward the advance guard, so the whole army marched forward, beginning the following day. The Muslims reached Sulteis where they encountered a Byzantine detachment. Hard fighting followed, but the Byzantine resistance soon broke down and they withdrew to Alexandria. The Muslims halted at Sulteis for a day. Alexandria was still two days' march from Sulteis. After one day's march the Muslim forces arrived at Kirayun, twelve miles from Alexandria. Here the Muslim advance to Alexandria was blocked by a Byzantine detachment about 20,000 strong. The strategy of the Byzantines was that either the Muslims would be driven away before they actually arrived at Alexandria, or that they would be as weak as possible if they did. The two armies were deployed and fighting followed, but action remained indecisive,. This state of affairs persisted for ten days. On the tenth day the Muslims launched a vigorous assault. The Byzantines were defeated and they retreated to Alexandria. The way to Alexandria was now cleared, and the Muslim forces resumed the march from Kirayun and reached the outskirts of Alexandria in March 641 AD. As 'Amr surveyed the military situation, he felt that Alexandria would be a hard nut to crack. The Byzantines had high stakes in Alexandria, and they were determined to offer stiff resistance to the Muslims. They mounted catapults on the walls of the city, and these engines pounded the Muslims with boulders. This caused considerable damage to the Muslims and 'Amr ordered his men back from the advance position so that they might be beyond the range of the missiles. A see-saw war followed. When the Muslims tried to go close to the city they were hit with missiles. When the Byzantines sallied from the fort, they were invariably beaten back by the Muslims. It is said that Heraclius, the Byzantine emperor, collected a large army at Constantinople. He intended to march at the head of these reinforcements personally to Alexandria. But before he could finalize the arrangements, he died. The troops mustered at Constantinople dispersed, and consequently no help came to Alexandria. This further demoralized the Byzantines. The siege dragged on for six months, and in Madinah 'Umar got impatient. In a letter addressed to 'Amr, the caliph expressed his concern at the inordinate delay in the invasion of Egypt. He further instructed that the new field commander would be 'Ubaidah, and he would launch an assault on the fort of Alexandria. 'Ubaidah's assault was successful and Alexandria was captured by the Muslims in September 641. Thousands of Byzantine soldiers were killed or taken captive while others managed to flee to Constantinople on ships that had been anchored in the port. Some wealthy traders also left. The permanent loss of Egypt meant a loss of a huge amount of Byzantium's food and money. The loss of Egypt and Syria, followed later by the invasion of the Exarchate of Africa also meant that the Mediterranean, long referred to as the "Roman lake", was now contested between two powers: the Muslim Caliphate and the Byzantine Empire. In these events, the Byzantine Empire, although sorely tested, would be able to hold on to Anatolia, while the mighty walls of Constantinople would save it during two great Arab sieges, from the fate of the Persian Empire. An attempt was made in the year 645 to regain Alexandria for the Byzantine Empire, but it was retaken by 'Amr in 646. In 654 an invasion fleet sent by Constans II was repulsed. From that time no serious effort was made by the Byzantines to regain possession of the country. The land of Nubia lay to the south of Egypt. It stretched from Aswan to Khartoum and from the Red Sea to the Libyan Desert. The Nubians were Christians and were ruled by a king. The capital of the kingdom was Dongola. In the summer of 642, 'Amr ibn al-'As sent an expedition to Nubia under the command of his cousin 'Uqbah ibn Nafi. The expedition was ordered by 'Amr on his own account. It was not a whole scale invasion but merely a pre-emptive raid to show the arrival of new rulers in Egypt to the bordering kingdoms. 'Uqbah ibn Nafi, who later made a great name for himself as the Conqueror of Africa, and led his horse to the Atlantic came in for an unhappy experience in Nubia. In Nubia, no pitched battle was fought. There were only skirmishes and haphazard engagements, and in this type of warfare the Nubians excelled. They were skilful archers and subjected the Muslims to a merciless barrage of arrows. These arrows were aimed at the eyes and in the encounter 250 Muslims lost their eyes. The Nubians were very fast in their movements. The Muslim cavalry was known for its speed and mobility, but it was no match for the Nubian horse riders. The Nubians would strike hard against the Muslims, and then vanish before the Muslims could recover their balance and take counter action. The hit-and-run raids by the Nubians caused considerable damage to the Muslims. 'Uqbah wrote to 'Amr of this state of affairs. He said that the Nubians avoided pitched battle, and in the guerilla tactics that they followed the Muslims suffered badly. 'Uqbah further came to know that Nubia was a very poor land, and there was nothing therein worth fighting for. Thereupon 'Amr ordered 'Uqbah to withdraw from Nubia. 'Uqbah accordingly pulled out of Nubia with his forces. 'Umar, whose armies were already engaged in a massive campaign of conquering the Sassanid Empire did not wanted to engage himself further along north Africa, when Muslim rule in Egypt was as yet insecure. The caliph accordingly disapproved of any further advances and ordered 'Amr to first consolidate the Muslims' position in Egypt, and issued strict orders that there should be no further campaigning. 'Amr obeyed, abandoning Tripoli and Burqa and returning to Fustat. This was towards the close of the year 643 AD. In return for a tribute of money and food for the occupying troops, the Christian inhabitants of Egypt were excused from military service and left free in the observance of their religion and the administration of their affairs. This system was a new institution, as a mandate by a religion. But it was adopted as an institution, by the Muslims from previous poll tax systems in the ancient Middle East. Indeed, the Egyptians had been subject to it—as non-Romans—during Roman rule before the adoption of Christianity by the Roman state. After that, all non-Christian subjects of the Roman Empire had to pay it, including non-Christian Egyptians. The Persians also had a similar poll tax system. On the twentieth of Maskaram Byzantine general Theodorus and all his troops and officers set out and proceeded to the island of Cyprus, abandoning the city of Alexandria. Thereupon 'Amr, the Muslim commander, made his entry into the city of Alexandria. The inhabitants received him with respect, for they were in great tribulation and affliction. 'Amr exacted the taxes which had been determined upon, but he took none of the property of the churches, and he committed no act of spoliation or plunder. Muslims gained control over Egypt due to a variety of factors, including internal Byzantine politics, religious zeal and the difficulty of maintaining a large empire. The Byzantines did attempt to regain Alexandria, but it was retaken by 'Amr in 646. In 654 an invasion fleet sent by Constans II was repelled. From that time no serious effort was made by the Byzantines to regain possession of Egypt. In the book "The Great Arab Conquests" Hugh Kennedy writes that Cyrus the Roman governor had expelled the Coptic patriarch Benjamin into exile. When Amr occupied Alexandria, a Coptic nobleman (duqs) called Sanutius persuaded him to send out a proclamation of safe conduct for Benjamin and an invitation to return to Alexandria. When he arrived, after thirteen years in concealment, Amr treated him with respect. He was then instructed by the governor to resume control over the Coptic Church. He arranged for the restoration of the monasteries in the Wadi Natrun that had been ruined by the Chalcedonian Christians, which still exists as a functioning monastery in the present day. On Amr's return the Egyptian population also worked with Amr. In the book "The Great Arab Conquests" Hugh Kennedy writes "The pious biographer of Coptic patriarch Benjamin presents us with the striking image of the patriarch prayed for the success of the Muslim commander Amr against the Christians of the Cyrenaica. Benjamin survived for almost twenty years after the fall of Egypt to the Muslims, dying of full years and honour in 661. His body was laid to rest in the monastery of St Macarius, where he is still venerated as a saint. There can be no doubt that he played a major role in the survival of the Coptic Church" Coptic patriarch Benjamin also prayed for Amr when he moved to take Libya. In the book "The Great Arab Conquests" Hugh Kennedy writes "Even more striking is the verdict of John of Nikiu. John was no admirer of Muslim government and was fierce in his denunciation, but he says of Amr: 'He extracted the taxes which had been determined upon but he took none of the property of the churches, and he committed no act of spoliation or plunder, and he preserved them throughout all his days'" He writes "Of all the early Muslim conquests, that of Egypt was the swiftest and most complete. Within a space of two years the country had come entirely under Arab rule. Even more remarkably, it has remained under Muslim rule ever since. Seldom in history can so massive a political change have happened so swiftly and been so long lasting." Uqba ibn Nafi then used Egypt as a launch pad to move across North Africa all the way to the Atlantic ocean. In the book "The Great Arab Conquests" Hugh Kennedy writes that when Uqba reached the Atlantic, he is said to have ridden his horse into the sea until the water was below his chest, and then shouted 'O Lord, if the sea did not stop me, I would go through lands like Alexander the Great, defending your faith'. Kennedy writes further that this image of a warrior whose conquest in the name of God was stopped only by the ocean remains important in the history of the conquests. 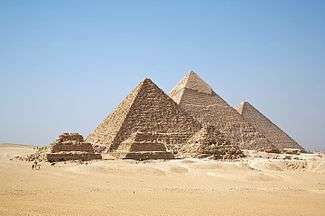 With the fall of Alexandria the Muslims were the masters of Egypt. At the time of their Egyptian campaign, Alexandria was the capital of the country. When Alexandria was captured by the Muslims, the houses vacated by the Byzantines were occupied by the Muslims. The Muslims were impressed and attracted by Alexandria, "the queen of cities". 'Amr wished for Alexandria to remain the capital of Muslim Egypt. He wrote to Caliph 'Umar seeking his permission to do this. 'Umar rejected the proposal on the basis that Alexandria was a maritime city and there would always be a danger of Byzantine naval attacks. 'Amr next proceeded to choose a suitable site for the capital of Egypt. His choice fell on the site where he had pitched his tent at the time of the battle of Babylon. His tent had been fixed about a quarter of a mile north east of the fort. It is reported that after the battle was over, and the army was about to march to Alexandria, the men began to pull down the tent and pack it for the journey, when it was found that a dove had nested on top of the tent and laid eggs. 'Amr ordered that the tent should remain standing where it was. The army marched away but the tent remained standing in the plain of Babylon. In this unusual episode 'Amr saw a sign from Heaven. He decided "where the dove laid its nest, let the people build their city". As 'Amr's tent was to be the focal point of the city, the city was called Fustat, which in Arabic means the tent. The first structure to be built was the mosque which later became famous as Mosque of 'Amr ibn al-'As. The city of Fustat was built due east of Babylon. In the course of time, Fustat extended to include the old town of Babylon. It grew to become a bustling city and the commercial centre of Egypt. To consolidate his rule in Egypt, 'Umar imposed the jizya on Egyptians. However, during later Umayyad rule higher taxes were imposed on the Egyptians. By 'Umar's permission, 'Amr ibn al-'As decided to build a canal to join the Nile with the Red Sea; it would help the traders and Arabia would flourish through this new trade route. Moreover, it would open new markets for the Egyptian merchants and open for them an easy route for the markets of Arabia and Iraq. This project was presented to Caliph 'Umar, who approved it. A canal was dug, and within a few months was opened for merchants. It was named Nahar Amir ul-Mu'mineen i.e. The canal of Commander of the Faithful referring to the title of the Caliph 'Umar. Amr proposed another project: digging a canal that would join the Red Sea and the Mediterranean Sea. The project was once again sent to 'Umar for approval, but Umar viewed it as a threat to national security and rejected on the basis that it would open a way for Byzantine navy to enter the Red Sea via that canal and posing a threat to Madinah itself. This project however was completed in the form of what is now known as the Suez Canal 1300 years later. Each year the caliph instructed a large amount of jizya to be used on the building and repairing of canals and bridges. The Arabs remained in control of the country from this point until 1250, when it fell under the control of the Mamelukes. 1 2 3 4 5 6 7 Al-Maqrizi, Mawaiz wa al-'i'tibar bi dhikr al-khitat wa al-'athar. ↑ Raymond, Andre, Cairo, transl. Willard Wood, (Harvard University Press, 2000), p. 10. ↑ Kaegli, Walter. Heraclius: Emperor of Byzantium. Butler, Alfred (1902). The Arab Conquest of Egypt and the Last Thirty Years of the Roman Dominion. Oxford: Clarendon Press. Charles, R. H. The Chronicle of John, Bishop of Nikiu: Translated from Zotenberg's Ethiopic Text, 1916. Reprinted 2007. Evolution Publishing, ISBN 978-1-889758-87-9. Haykal, Muhammad Husayn (1944). Al Farooq, Umar.